macOS users will need to use Bonjour to map their drives. For assistance using Bonjour, please contact Apple. 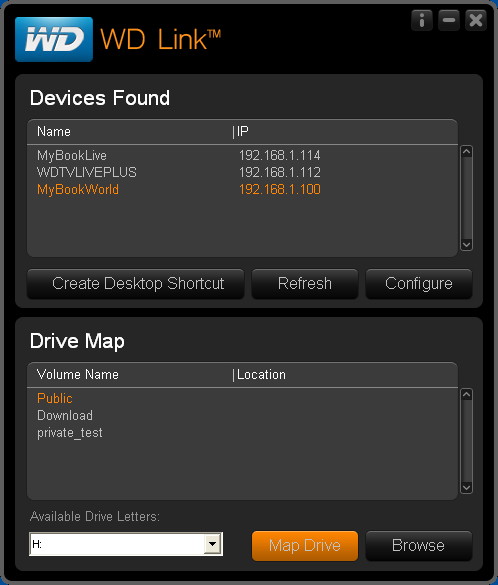 The WD Link Discovery Software is used to map (assign) a drive letter to a WD Network hard drive such as a My Book Live or WD ShareSpace. 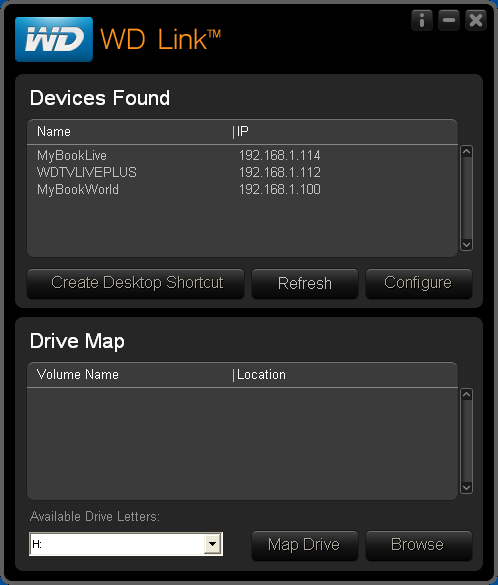 Install the WD Link software if it is not already installed. For assistance installing WD Link please see Answer ID 8572: Installing WD Link in Windows. Launch WD Link from your Start Menu or Windows 8 Start Screen. Once the program is running wait approximately 2 minutes to give WD Link time to find your drive. If your drive does not appear click the Refresh button and wait another 2 minutes. You will see your drive in the list titled Devices Found. Click on it to highlight it. 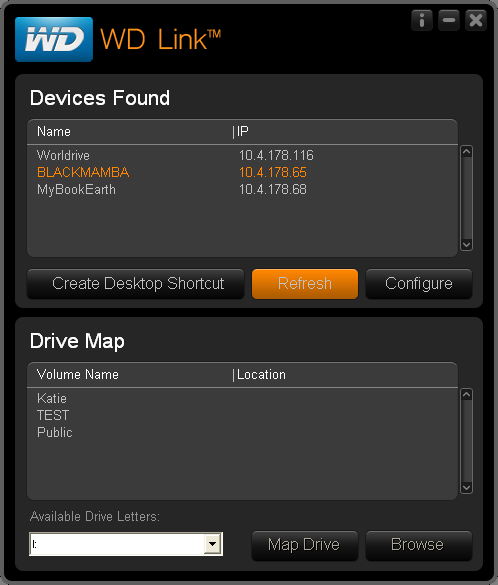 In the bottom table titled Drive Map select the share you wish to map to a drive. For most users this will be the Public share. Select the drive letter you wish to assign the share to. Click the Map Drive button. Your drive will now be mapped. Click the OK button to close the prompt. Open Computer (My Computer on Windows XP) on your Start Bar and verify the drive appears in your list of network drive.